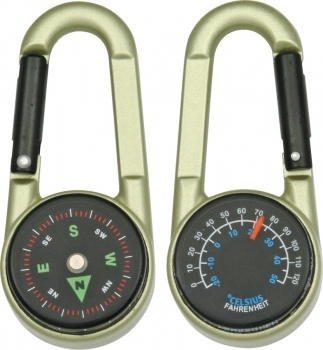 Explorer Carabiner Compass. 2 5/8 overall. Bronze composition casing. 1 1/8" compass with black face. Also includes 1 1/8" thermometer with black face and Celsius and Fahrenheit scales." 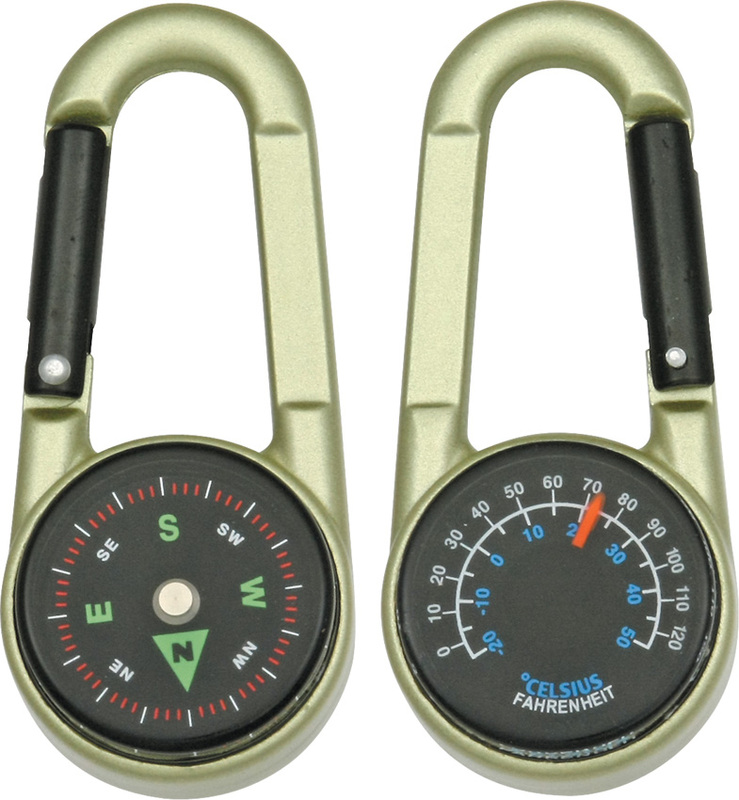 Do you own Explorer Carabiner Compass outdoor gear EXP23? Tell us about it! Have a question? Ask!